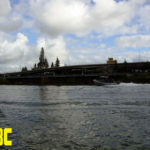 The images and video of the recent hurricane and it’s aftermath are heart wrenching to look at. 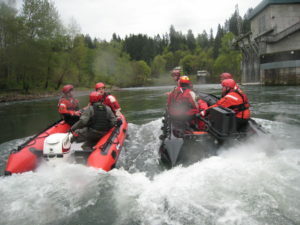 Members of the U.S. Air Force 125th STS (special tactics squadron) have been deployed to aid in humanitarian relief in the stricken region. 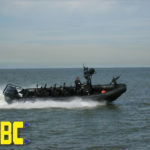 Many of these Special Forces Warriors are our close personal friends here at IBC and we wish them the best of luck and send our prayers to the people in the area. 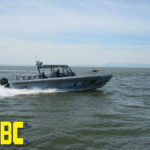 Update The 304th Rescue Squadron has joined the rescue efforts with boats aircraft and PJ Rescue personnel. 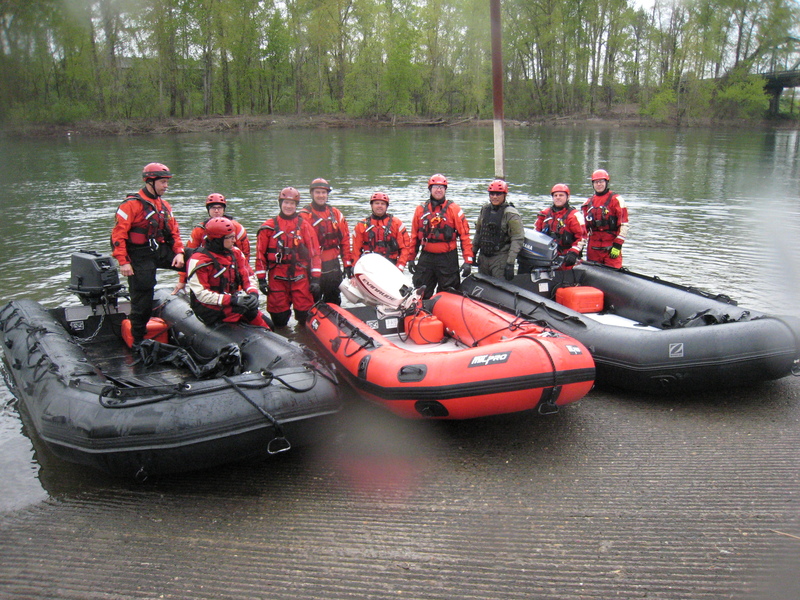 Hooyah 304th Rescue! 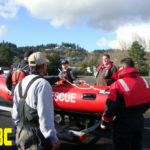 Jon and the rest of the team our thoughts and prayers go with you. When tragedies such as catastrophic flooding occur agencies often see the shortcomings in their disaster programs I.E. 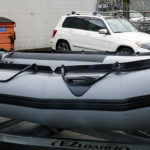 a lack of good Zodiac inflatable boats for rescue. 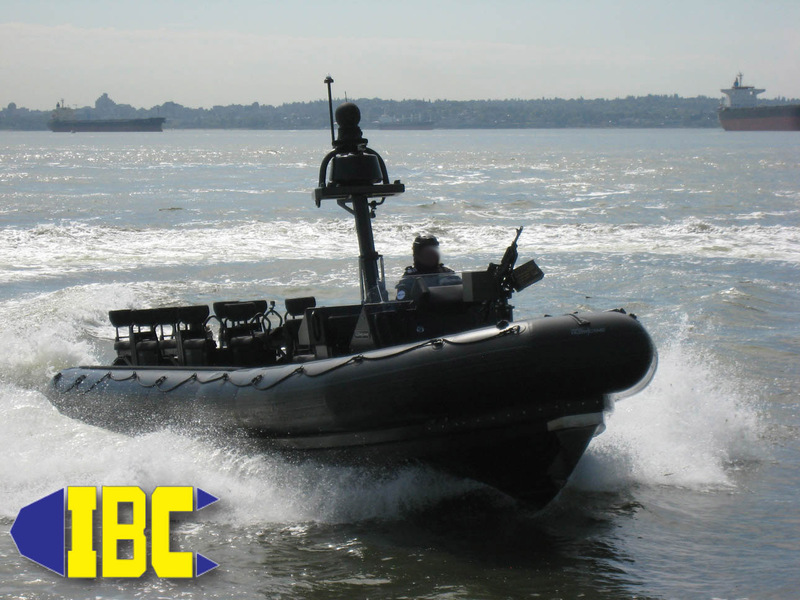 IBC has been on the scene since the early 70’s providing agencies such as the 125th STS with boats, knowledge and training to accomplish their varied missions and continues to do so today. 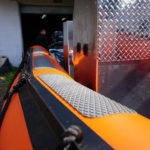 Many of our customers and friends are already on the scene and are working diligently to rescue the people and even their pets in this trying time. 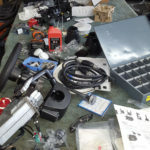 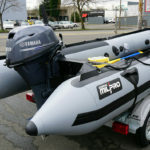 Agencies looking to equip their teams should call Adam our Zodiac MILPRO lead to get started. 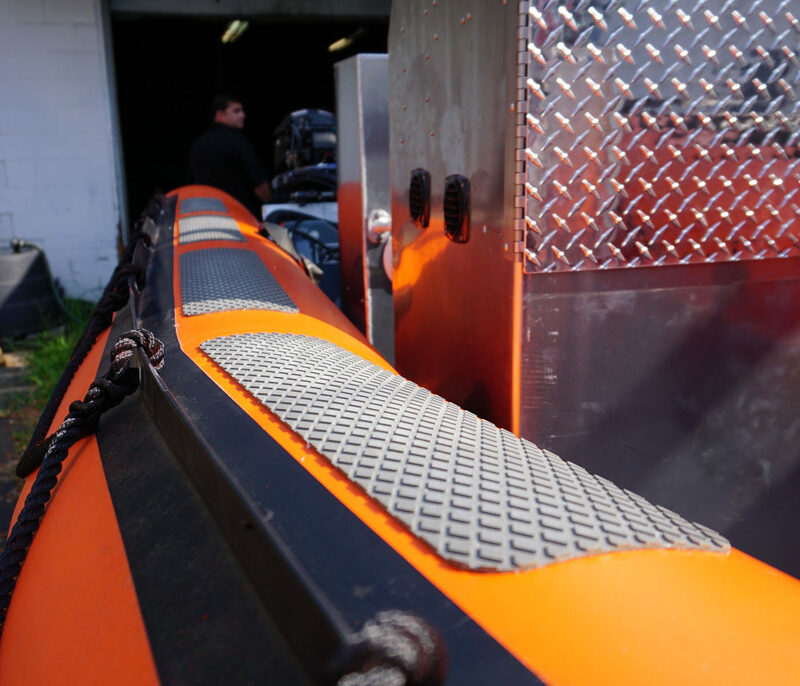 all work in the conditions present in Houston. 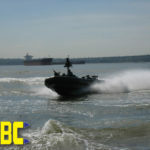 To our friends who already there doing their part, IBC thanks you for the people of Houston. 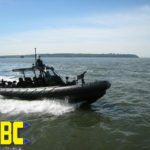 To our buddy Hutch and the rest of the 125th STS Hooyah! 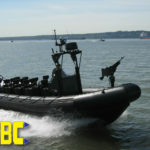 IBC is here if you need us! 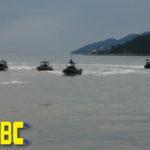 Update The 304th Rescue Squadron has joined the rescue efforts with boats aircraft and PJ Rescue personnel. 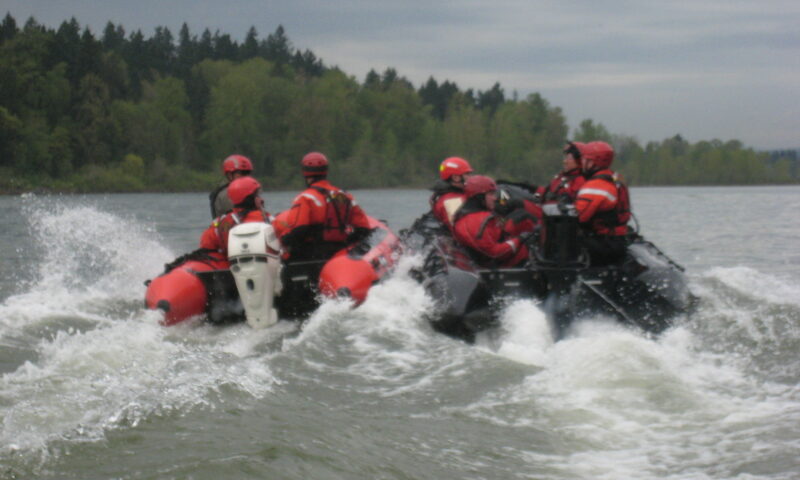 Hooyah 304th Rescue! 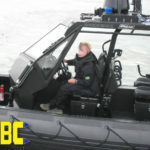 Jon and the rest of the team our thoughts and prayers go with you. 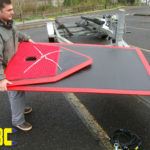 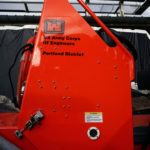 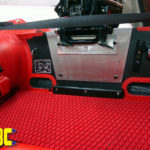 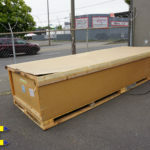 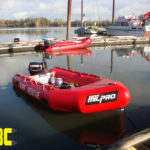 To contact IBC for your MILPRO needs call (503)235-2628 and ask for Adam. 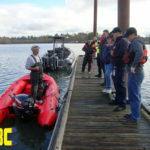 Recently IBC was in attendance for the 2017 Zodiac MILPRO Vancouver Seminar in Vancouver BC. 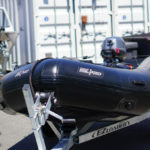 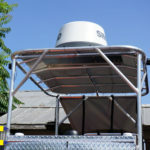 Twenty six countries were represented with military, law enforcement, and other government agencies on hand for some bleeding edge technology and demos. 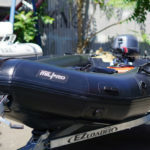 The offerings Zodiac MILPRO and Hurricane brought are a far stretch from the boats you might have been exposed to in your military days. 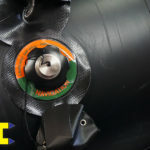 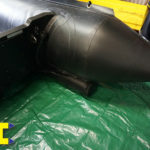 Vastly improved material science and finite element analysis coupled to ISO standards and CAD/CAM mean these are stronger, lighter, faster, better than anything that has come before. 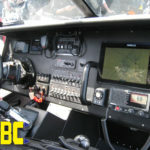 In my day (Mike) gps, cell phones, radar, etc. 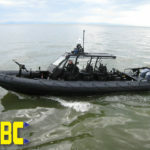 weren’t around or weren’t deployable in the R.I.B. 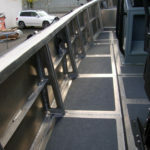 platform. 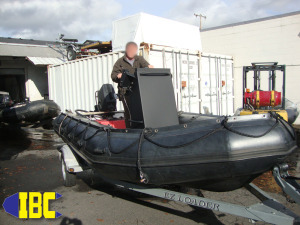 We used old school techniques and tools for the jobs at hand on the many different missions we ran in the Navy. 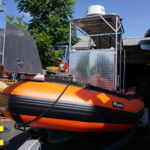 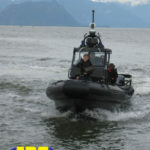 Whether it was loading demo, or doing salvage or dive ops we did it all with the inflatable boats. 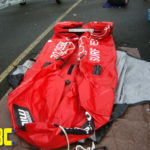 Sure we dreamed big and wished certain things were available then that are now. 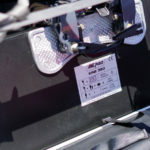 Electronics wise we are light years ahead, gps, ais, radar, radio and more are all available in marinized versions that could launch the space shuttle with just one of their ic chips. 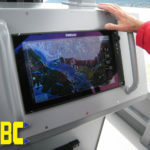 Big glorious multi-function flat panels and touch controls coupled to fly by wire screaming power makes intercepting or overtaking any vessel a snap. 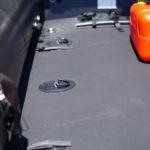 Multi-mission decks mean gun mounts to sonar fish are but a few minutes work to switch between. 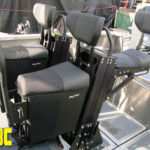 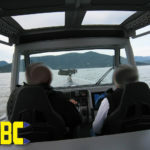 Shock mitigation cabins and reconfigurable seating means one boat does more in even the toughest conditions. 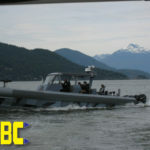 These boats are special operator dream fuel, they are law enforcement sugar plums, they are the very tip of the spear or the trident as it were. 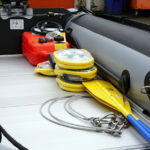 The new Zodiac MILPRO and Hurricane R.I.B.s will save more lives and cost less to operate than any other technology on, in, under, or above the water period! 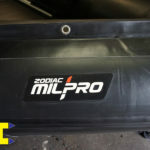 If running boats for fun or profit is your thing you won’t do better than the Zodiac MILPRO lineup. 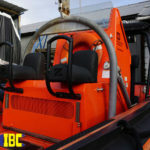 IBC has the configuration you need and at the right price for quick return of investment. 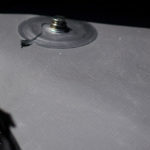 There are as many options as stars it seems so just because you haven’t seen it anywhere doesn’t mean it doesn’t exist. 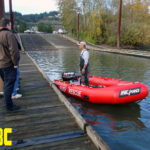 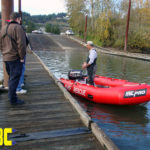 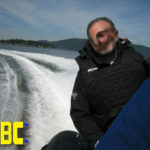 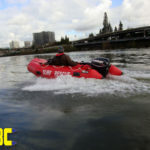 Give Adam, IBC’s MILPRO specialist, Adam a call (503)235-2628 or shoot him an email adam@inflatableboats.com with your inquiry. 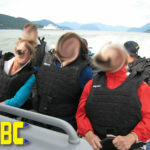 All pictures taken by Adam, faces blurred by necessity. 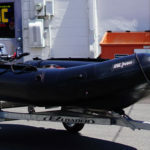 Zodiac MILPRO MK4 HD Alaskan Surf Or Bust! 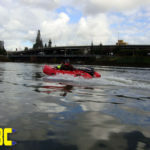 Those of us who were on the oceans during the 80’s can remember exploring in Alaska, and surfing every break we found while sailing around the Arctic. 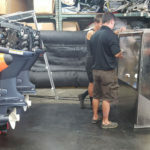 Seeing new guys doing what we did some 30+ years ago gets the heart pumping and memories flowing again. 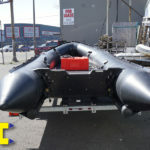 Many of the early photographs of Mike (one of our salesmen) are of him in a Zodiac inflatable boat surrounded by ice or tundra in the background. 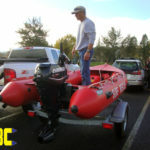 Mike took a surfboard or two everywhere he went when he sailed from Hawaii or California during his many years at sea and hit all the spots others hadn’t made it to yet. 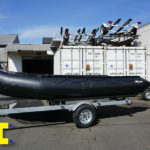 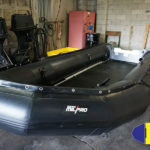 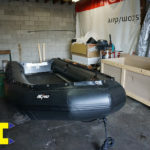 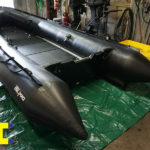 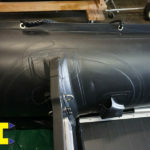 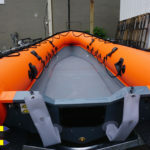 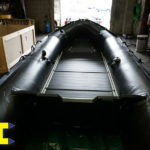 Flash forward to today’s modern age of cell phones, gps, and digital cameras and we see a whole new generation utilizing the same Zodiac MILPRO inflatable boats as Mike did back in the times of yore. 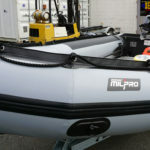 Today’s example is the Zodiac MILPRO MK4 HD, and for exploring around the arctic you can do no better. 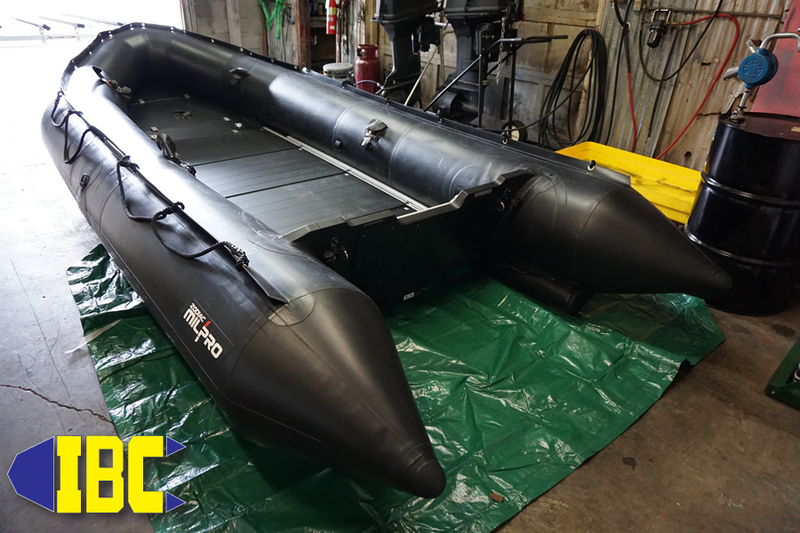 Because of the Zodiac MILPRO MK4 HD’s ability to be rolled up and stowed you can now take a heavy duty boat where ever the wind blows. 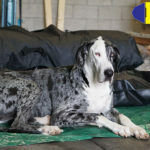 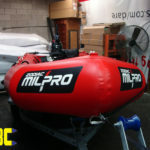 Packed down into bags the Zodiac MILPRO MK4 HD isn’t much bigger than our shop dog Nora ,seen here relaxing in front of the Zodiac MILPRO MK4 HD. 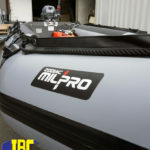 Fishing, hunting, cargo transportation, surfing, diving, shipyard, tending, you name it the Zodiac MILPRO MK4 HD does it all and with Futura Hull performance too! 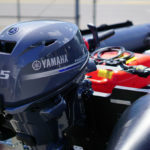 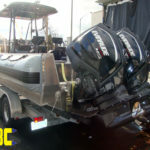 Speaking of performance the Zodiac MILPRO MK4 HD can take twin long shaft 40hp outboards or you can run a Yamaha F70 (our favorite) and really scoot across the water. 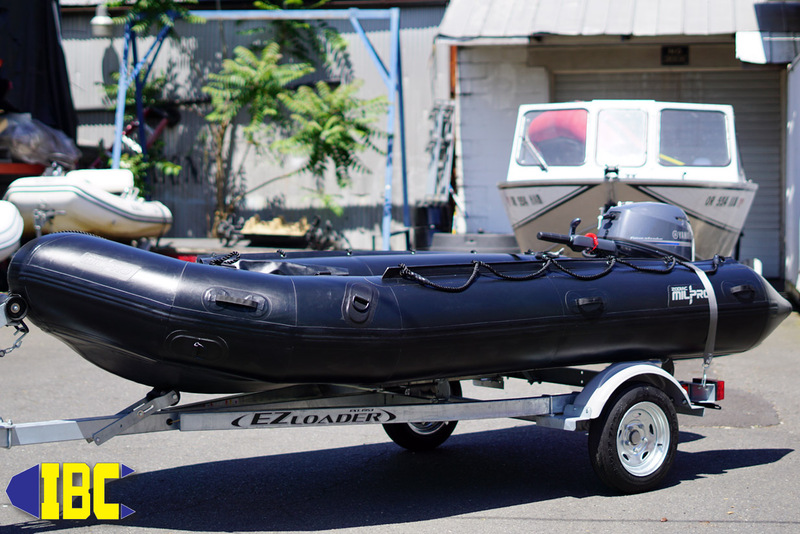 The Zodiac MILPRO MK4 HD’s size allows it to go up rivers and sloughs from the ocean with ease making that camp load out a snap and a one trip operation. 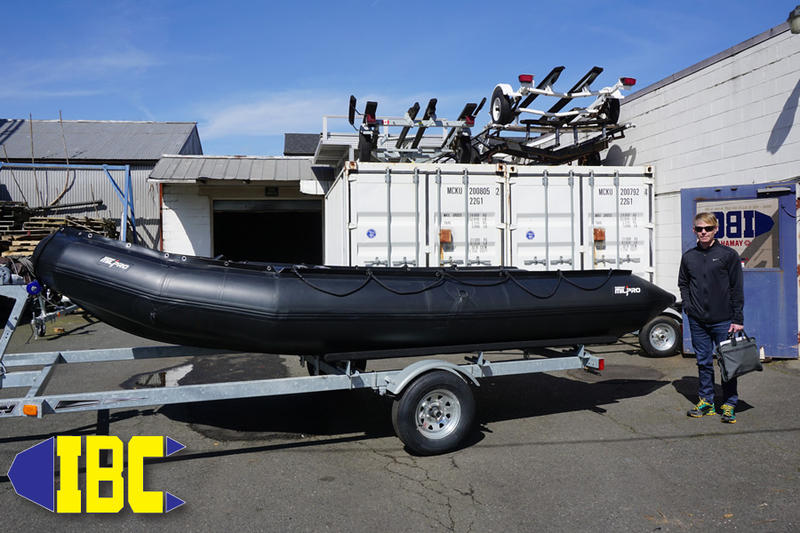 Almost 2 tons of cargo for a capacity and incredible buoyancy that drafts in inches rather than feet means the Zodiac MILPRO MK4 HD goes and does where and what other boats can’t or won’t. 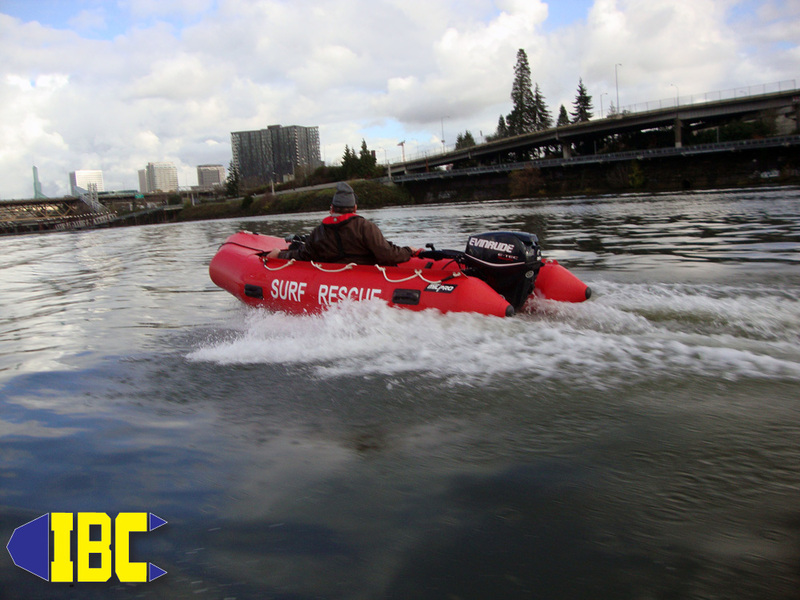 Call us at IBC (503)235-2628 to speak with one of our experienced staff members about your next adventure, we’d love to help! 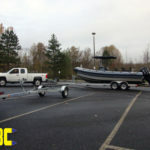 Zodiac MILPRO MK2 Grand Raid Goes To OSU Research Dept. 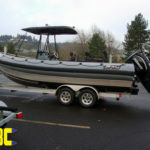 Around here at IBC we get excited when we get requests from marine studies institutes looking for mission specific boats. 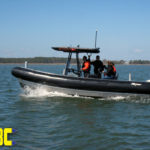 Being marine life conservationists ourselves and boat enthusiasts we always wish we can go off on these missions to swim with sharks, or collect data about birds, etc. 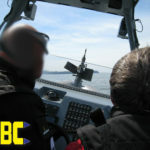 Today’s mission was the latter, marine birds was the topic and night ops was the mission. 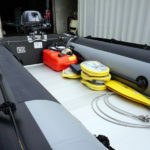 To complete the OSU mission researchers had to make their observations and conduct their various operations in the dark in littoral zones where an ordinary boat just couldn’t go, nor carry the compliment of passengers and required science packages. 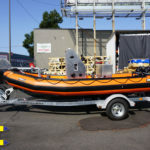 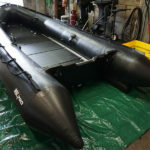 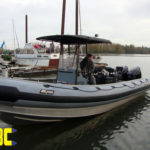 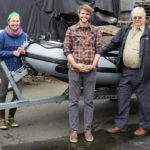 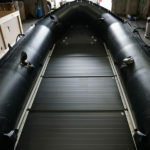 IBC delivered a Zodiac MK2 Grand Raid (think Jacques Cousteau boat) which has the ability to carry an enormous amount of cargo and offers the robust fabric and reliability that only the Zodiac MILPRO line can deliver. 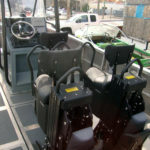 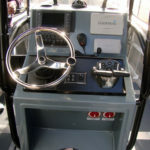 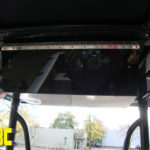 Areas that require beaching in turbulent conditions on variegated rocky coastlines require a level of finesse and toughness in the boat as well as the nighttime operators conducting the studies. 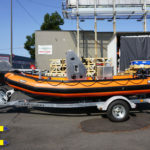 The Zodiac MK2 Grand Raid meets and exceeds all expectations in this regard, and it does it at cost that doesn’t break the educational institute bank. 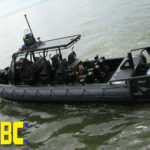 Other uses people might associate with the Zodiac MILPRO MK2 Grand Raid are rescue, law enforcement, heavy industry, and of course military. 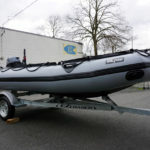 Some of our recreational users also spec out the Zodiac MILPRO MK2 Grand Raid for their tenders or primary boat activities. 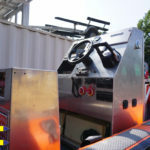 It’s very easy to understand why based on the Grand Raid’s reputation for toughness, stability and quality of construction. 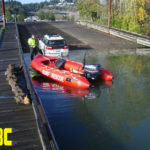 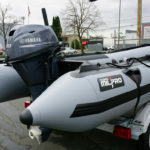 To see a Zodiac MILPRO Grand Raid for yourself stop in to our shop or call one of our MILPRO specialists (503)235-2628 to discuss your needs. 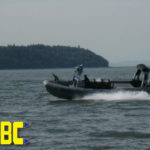 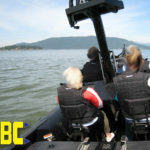 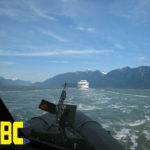 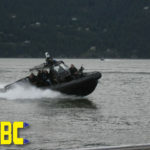 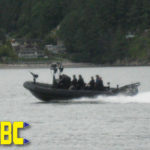 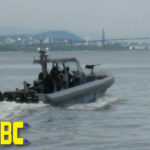 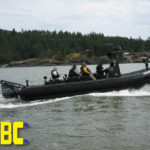 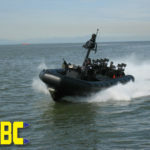 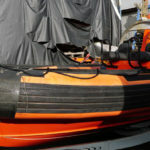 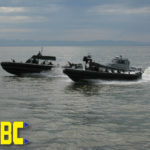 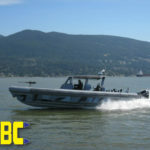 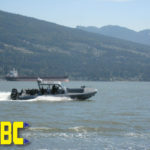 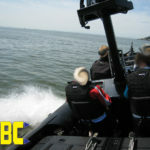 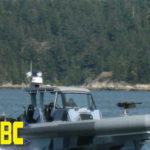 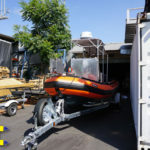 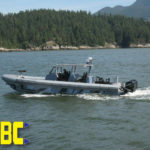 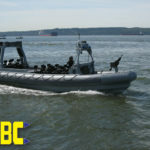 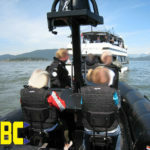 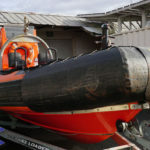 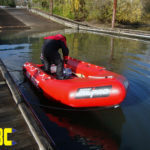 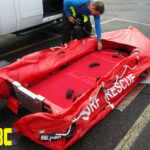 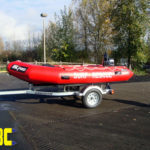 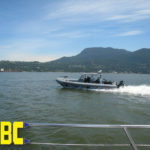 This time of year IBC is always scuttling around busy with various agencies and their seagoing Zodiac MILPRO RIBs, and swift water rescue boats. 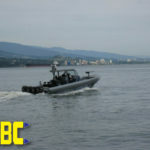 In preparation to underway commitments bigger ships need work done and usually on the quick to meet mission requirements and deployment dates. 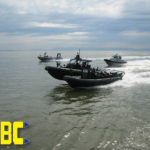 The U.S. Coast Guard, Army Corps Of Engineers, U.S. Military Forces, state and federal law enforcement and fire you name it and we see it here. 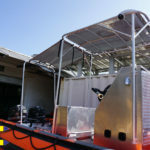 Sometimes the service is just a bit of paint and shine on battle damage or even planned maintenance on a unit prior to deployment. 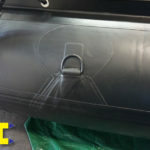 Today it was a bit of paint on a U.S. Army Corp Of Engineers Zodiac MILPRO RIB. 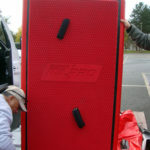 Our job was to de-rig a console set and repaint it prior to an underway. 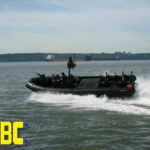 IBC made all of the graphics, matched the color, and painted the console set, then rigged it back to spec. 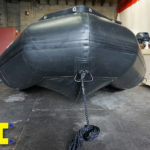 It’s just too bad we didn’t get a chance to re-rub the entire boat but budget and underway commitments take precedent over what we want. 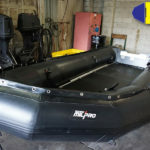 Fortunately Mike grabbed a couple of pics of the boat before she had to go back to the mother ship so we could appreciate the job the repair shop did. 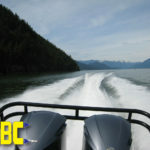 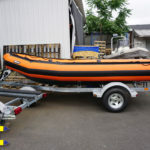 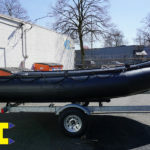 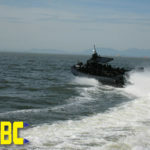 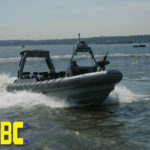 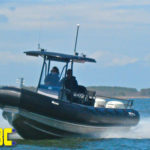 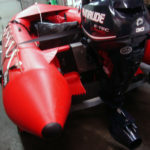 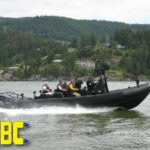 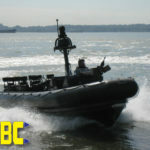 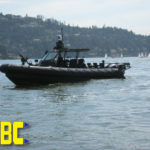 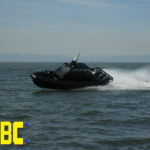 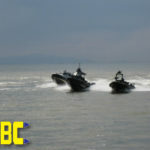 IBC is your one stop shop for sales and service of the full Zodiac MILPRO line of RIBs and inflatable boats. 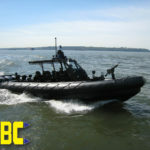 Give us a call today for your military and professional needs and see why we are ranked Tier 1. 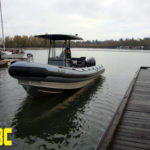 Agencies that spend their time on the water ask for it by name….Zodiac MILPRO’s SRA 750 D-Tube. 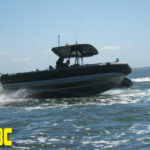 With so many marine operations underway in today’s society it’s no wonder that Zodiac MILPRO took the tried and true RHIB or RIB platform to new levels of performance in the SRA 750’s multi-mission platform. 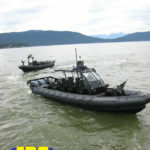 Suited for both ship based and port based operations the increased internal space provided by the Zodiac MILPRO SRA 750 “D-Tube” checks off the boxes for VBSS missions abroad as well as Homeland Security missions at the home fronts. 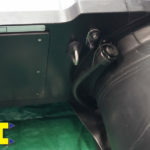 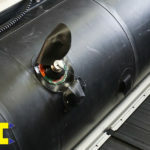 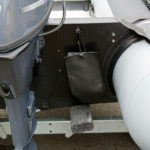 Features such as Zodiac’s shock mitigation system saves the backs of our warfighters in SWCC where surgery scars are the norm not the exception. 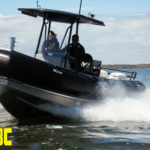 High performance fly by wire controls and ultra high output outboards that sip fuel while on mission married to the SRA 750’s advanced hull design mean more time on station with lower operating costs and extended range capabilities. 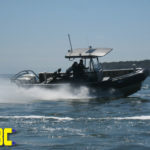 Abilities to go from over the horizon to the littoral zones for team insertion are noteworthy force multipliers making missions successful, safer and wider reaching into the battle space or rescue area. 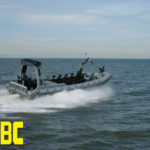 For ship to ship VBSS missions (one of the most dangerous missions to undertake) operators appreciate the speed and stability only a Zodiac MILPRO can bring to the fight making it the ideal platform for boarding and clearing vessels who venture into exclusion zones. 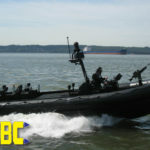 Pirates hate the Zodiac MILPRO SRA’s ability to mount weapons on the re-configurable deck plate system and it’s unparalleled speed in conditions that will sink lesser boats. 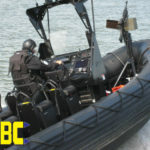 Encircling and capturing combatant craft while at sea before they can come close to shipping or military assets means more lives saved. 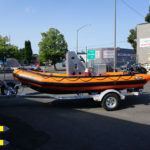 You don’t have to the tip of the spear to use the SRA 750, whale watching tours to shipyard and coastal rescue organizations can all benefit from the steady and speedy nature of the SRA 750. 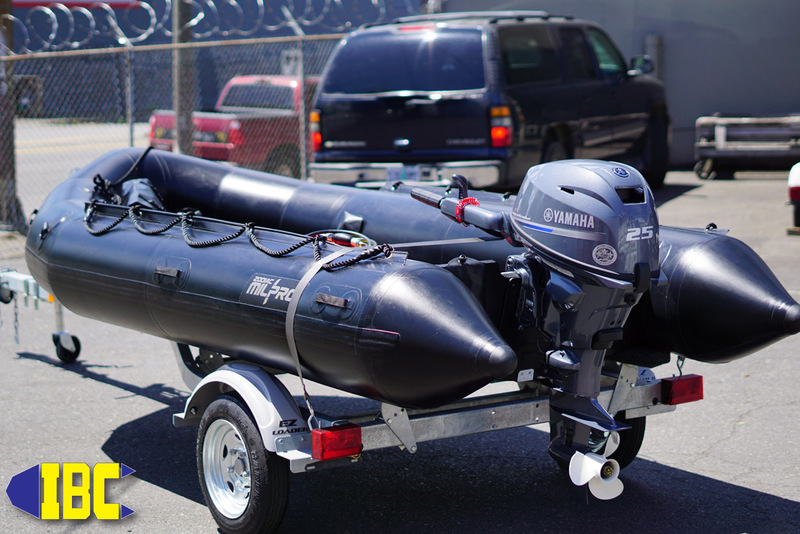 Bar pilots love what the SRA 750 represents in terms of usability and cost of ownership when compared to more traditional boats on the market today. 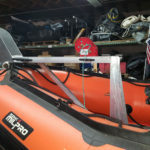 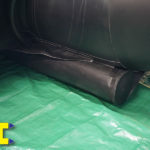 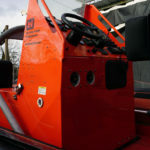 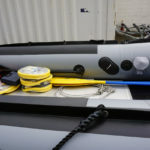 Rigid foam collars are available for the heavy shipping user as well as the recreational customer and can offer some advantages over inflatable when used in a high abrasion application like salvage or deep sea missions. 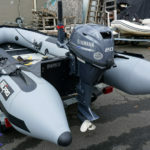 Yes the SRA 750 has notched it up a few clicks for it’s users and since it’s multi-mission there’s a configuration for anyone who works on the water. 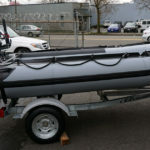 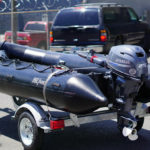 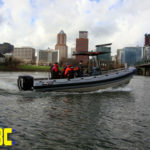 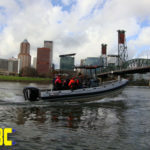 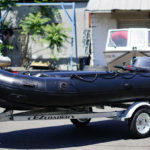 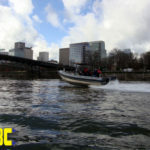 To schedule a demo or to purchase a Zodiac MILPRO SRA 750 call the pros at IBC (503)235-2628 and get the best boat for the mission of choice. 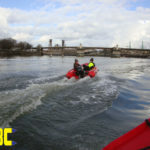 If you’re living near us you know the weather has been a bit cool lately with lows in the 30’s, but if you’re near the river you know this is the time of year we get to play too. 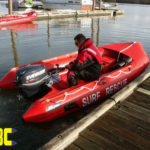 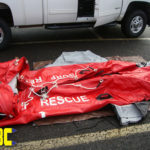 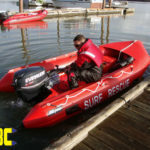 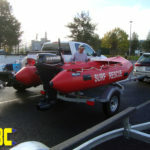 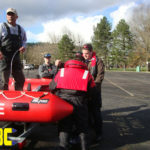 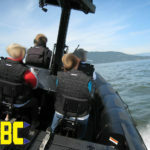 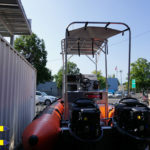 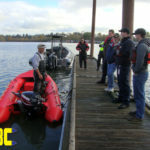 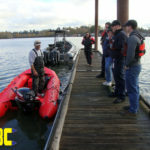 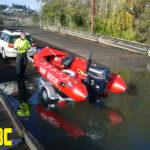 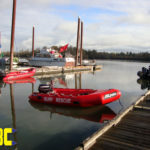 Recently IBC’s test pilots Adam and Mike went out to hit the water with Depot Bay’s Fire and Rescue to demo a few boats of which the Zodiac ZMSR 380 Surf Rescue was one. 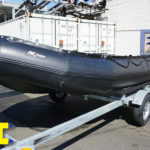 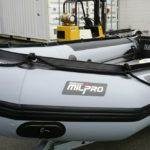 Zodiac MILPRO’s ZMSR 380 is an easy to assemble and use inflatable boat designed for the challenges rescue personnel face in coastal operation zones. 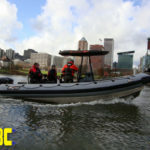 From the water up the Zodiac MILPRO ZMSR takes lessons learned from across the globe’s surf zones and puts technology and know how into the very core of the design. 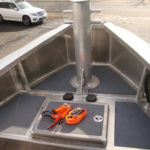 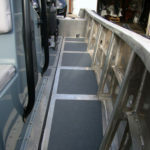 Features such as the stringerless composite deck with integrated foot straps and soft non-skid come to meet the eye when you peer into the boat. 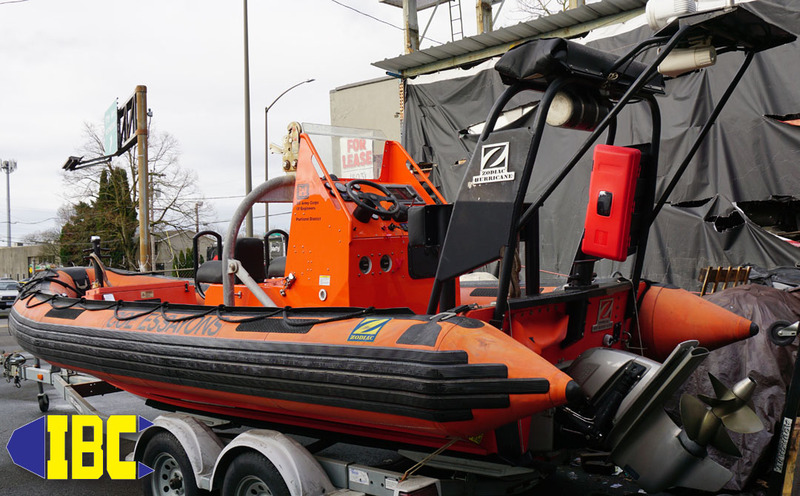 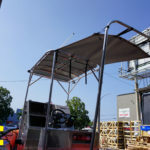 To address the surf zones ability to move a city block of water per wave Zodiac MILPRO’s approach to dewatering is simple yet elegant utilizing dual ovoid scupper trunks that dump the water out almost as fast as it can come in. 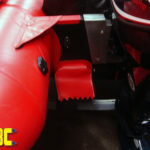 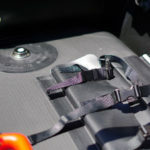 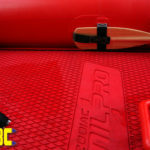 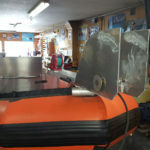 Rounding out the integrated bow dodger is a co-pilot handle making punching thru the surf safe and easy. 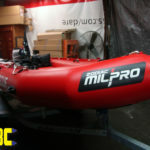 The Zodiac MILPRO ZMSR 380 is also available in a racing version for the lifeguard competitions in Australia and South Africa. 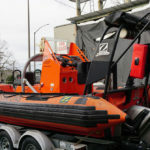 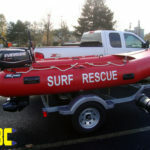 If you’re not a competitor or a surf lifeguard don’t fret the Zodiac MILPRO ZMSR 380 performs exceptionally well in swift water and flood water rescues making it a top level pick for inland rescue teams that need a high performance rescue platform. 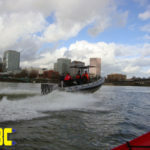 To schedule a demo with IBC in the Zodiac MILPRO ZMSR 380 have your department’s training officer or chief give us a call (503)235-2628 and get your space reserved. 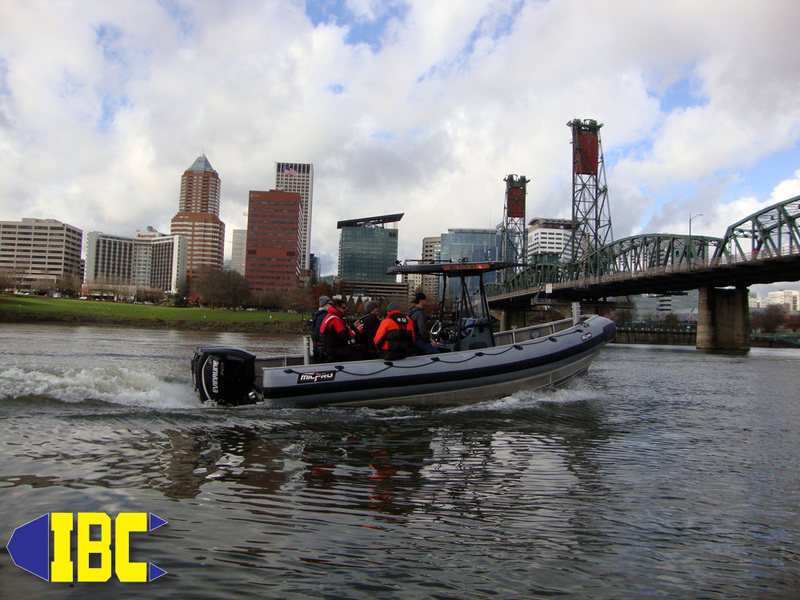 To order the Zodiac MILPRO ZMSR 380 shop online via our secure website or give the pros at IBC a call (503)235-2628.